Our guide to Austin will help you find the best vegetarian restaurants in Austin Texas. There's a mystique about Austin. Even if you've lived for years in this small town turned big city, the reasons why the city functions as it does, and why it seems so different from other U.S. cities, may not be readily apparent. High-tech industries have migrated to the area, making it Texas's answer to Silicon Valley. The city has also become an important filmmaking center. Austin is an extraordinarily open and welcoming place -- a city where you're not only allowed but expected to be yourself, in all your quirky glory. The people you encounter are likely to be laissez-faire and may even be newcomers themselves. For the moment, Austin retains a few vestiges of a small-town atmosphere -- but a quick scan of its fast-growing downtown skyline will tell you that its days as a sleepy college town are long gone. There are tons of great vegetarian restaurants in the city of Austin, our city guide will help you find the best vegetarian restaurants. You may have a hard time deciding what to do in Austin, but we make your decision easy. 1104 E 6th St, (512) 266-5910 - Cheer up Charlie's is a vegetarian restaurant located in Austin TX. 1221 W 6th St, (512) 926-4900 - Borboleta is a vegetarian restaurant located in Austin TX. 13000 N I H 35, (512) 491-5055 - Bombay Express is a vegetarian restaurant located in Austin TX. 1400 S Congress Ave, (512) 472-3901 - Mars Restaurant & Bar is a vegetarian restaurant located in Austin TX. 1402 Woltorf St, (512) 444-7333 - Good Seed Organic is a vegetarian restaurant located in Austin TX. 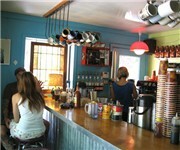 1611 W 5th St, (512) 477-2338 - Beets Cafe is a vegetarian restaurant located in Austin TX. 1701 Toomey Rd, (512) 476-2535 - Casa de Luz is a gathering place for people seeking wholeness and integration in diet, exercise, and experience. 1901 Cesar Chavez St W, (512) 477-5228 - Mr. Natural is a vegetarian restaurant located in Austin TX. 1914 Guadalupe St, (512) 457-1013 - Veggie Heaven is a vegetarian restaurant located in Austin TX. 2113 Manor Rd, (512) 476-5858 - Eastside Café is a vegetarian restaurant located in Austin TX. 2113 Manor Rd, (512) 476-5858 - East Side Cafe is a vegetarian restaurant located in Austin TX. 2121 W Parmer Ln, (703) 836-6363 - Curry in Hurry is a vegetarian restaurant located in Austin TX. 2304 Lake Austin Blvd, (512) 478-8645 - Welcome to Magnolia Cafe! Fresh food cooked with passion in a comfortable setting, kind of like your favorite aunt's giant kitchen, if she had one. 2414 S Lamar Blvd, (512) 477-5228 - Mr. Natural is a vegetarian restaurant located in Austin TX. 2600 E 7th St, (512) 477-4701 - El Azteca Restaurant is a vegetarian restaurant located in Austin TX. 4215 Duval St, (512) 451-3994 - Mother's Cafe & Garden is a vegetarian restaurant located in Austin TX. 9025 Research Service Rd, (512) 719-5575 - Madras Pavilion is a vegetarian restaurant located in Austin TX. 9515 N Lamar Blvd, (512) 997-7923 - Swad Indian Vegetarian Restaurant is a vegetarian restaurant located in Austin TX. W N Loop Blvd, (512) 708-8800 - Counter Culture is a vegetarian restaurant located in Austin TX. 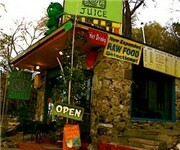 1625 Barton Springs Rd, (512) 480-9501 - Daily Juice is a vegetarian juice / smoothy store located in Austin TX. 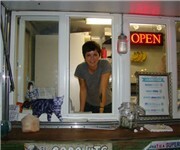 4500 Duval St, (512) 380-9046 - Daily Juice Cafe is a vegetarian juice / smoothy store located in Austin TX. There are plenty more vegetarian restaurants in Austin. See all vegetarian restaurants in Austin Texas.